Objectives: Regardless of its severity, dementia does not negate the experience of pain. Rather, dementia hinders self-reporting mechanisms in affected individuals because they lose the ability to do so. The primary aim of this study was to examine the interrater reliability of the electronic Pain Assessment Tool (ePAT) among raters when assessing pain in residents with moderate-to-severe dementia. 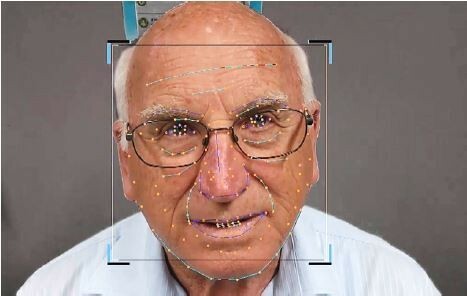 Secondly, it sought to examine the relationship between total instrument scores and facial scores, as determined by automated facial expression analysis. Study design: A 2-week observational study. Setting: An accredited, high-care, and dementia-specific residential aged care facility in Perth, Western Australia. Participants: Subjects were 10 residents (age range: 63.1–84.4 years old) predominantly with severe dementia (Dementia Severity Rating Scale score: 46.3±8.4) rated for pain by 11 aged care staff. Raters (female: 82%; mean age: 44.1±12.6 years) consisted of one clinical nurse, four registered nurses, five enrolled nurses, and one care worker. Measurements: ePAT measured pain using automated detection of facial action codes and recordings of pain behaviors. Results: A total of 76 assessments (rest =38 [n=19 pairs], movement =38 [n=19 pairs]) were conducted. At rest, raters’ agreement was excellent on overall total scores (coefficient of concordance =0.92 [95% CI: 0.85–0.96]) and broad category scores (κ=1.0). Agreement was moderate (κ=0.59) on categorical scores upon movement, while it was exact in 68.4% of the cases. Agreement in actual pain category scores gave κw=0.72 (95% CI: 0.58–0.86) at rest and κw=0.69 (95% CI: 0.50–0.87) with movement. All raters scored residents with higher total scores post-mobilization compared to rest. More facial action unit codes were also detected during pain (mean: 2.5 vs 1.9; p<0.0012) and following mobilization (mean: 2.5 vs 1.7; p<0.0001) compared to no pain and rest, respectively. Conclusions: ePAT, which combines automated facial expression analysis and clinical behavioral indicators in a single observational pain assessment tool, demonstrates good reliability properties, which supports its appropriateness for use in residents with advanced dementia.